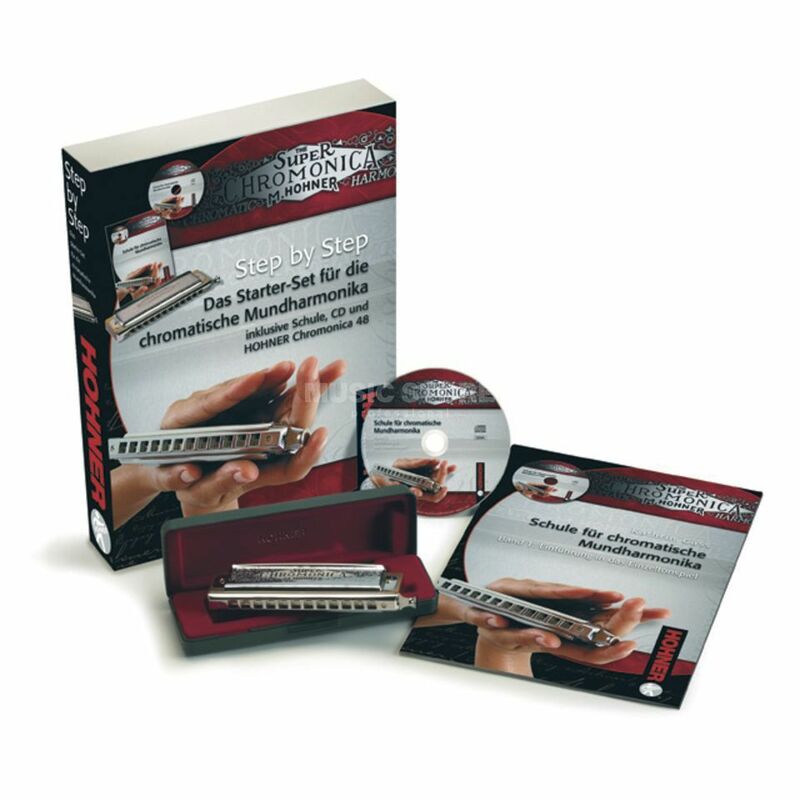 The Hohner Step-By-Step Chromonica Harmonica Starter Set is a complete set for newcomers to the Chromatic Harmonica, comprising a Hohner Chromonica with full 3 octave-range in the key of C, a step-by-step tuition guide, plus a CD packed with play-along exercises. Ever feel like you're missing just the right note to get just the sound you need? The Chromonica is your answer. An impeccably designed slide button system makes every note, every style, and every expression available to you. Play those sophisticated, tasty jazz melodies. Change keys mid-song for high artistic impact. Lay it down like Toots Thielemans or the great Larry Adler. Any key you can think up, major, minor, blues, bebop, are available on this chromatic harp. The chromatic harmonica was invented by hohner more than 100 years ago. As the name suggests, it contains all natural notes plus all sharps and flats, thus enabling chromatic melodies. Basically the chromatic harmonica consists of two harmonicas, one in C and one in C#, separated from one another by the slide, which is operated by the button at the side.